towed by a 24Volt Vehicle. 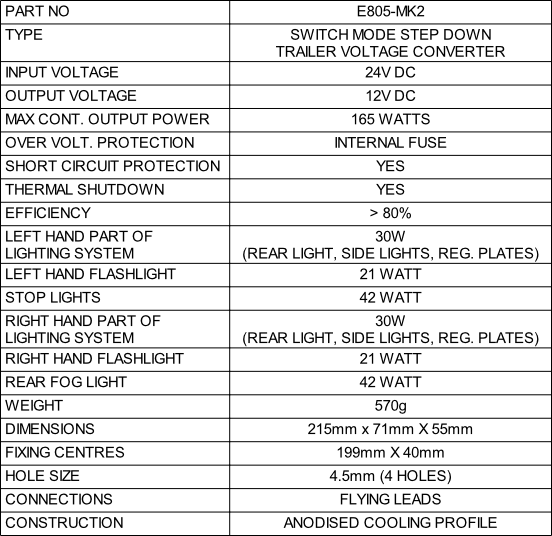 The E805 Trailer Voltage Converter has been designed to give it compatibility with Vehicles either with or without Engine Management Systems. The main power for the Unit is taken directly from the Vehicle’s 24V Battery. The outputs are controlled by the voltage applied to the Input Leads, the current drawn by the Inputs is typically 0.3mA. There are six independent output circuits, each is Overload and Short Circuit protected. A bulb failure warning circuit monitors the yellow and green indicator outputs. An output on the pink cable is present when the indicators are on and the bulb is good. The bulb failure indicates when one of the indicator lights has failed. The bulb failure facility is not suitable for LED indicator lights. 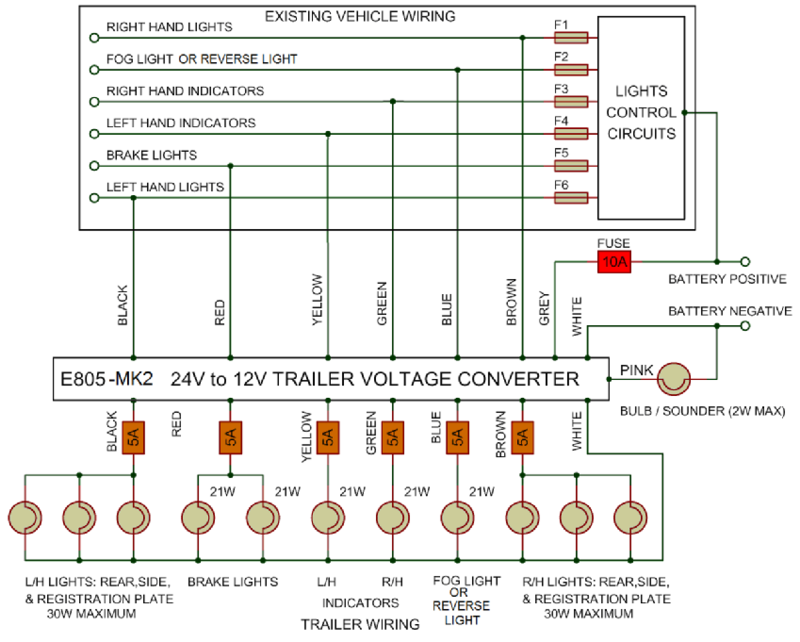 The output from the Trailer Voltage Converter cannot be measured with a standard volt meter – this is because it is an electronic signal and can only be measured with special equipment.